1. Entrepreneurs solve problems for a profit. 2. Ethically earned, money is the signal of value creation. 3. Entrepreneurs find a way to get the job done. 4. Developing skills and capabilities is a life-long process. 5. Successful entrepreneurs do not suffer fools. 6. You don’t always “get what you pay for” – the most expensive information is usually bad information. 7. Those who tell you that money cannot buy happiness haven’t yet given enough of it away. 8. Entrepreneurs understand that most money is made by transforming others’ bad news into good news. 9. Every wall of anxiety contains a window of opportunity. 10. You’ve heard it before, but it is eternally true: the best way to get out of a hole is to first stop digging! 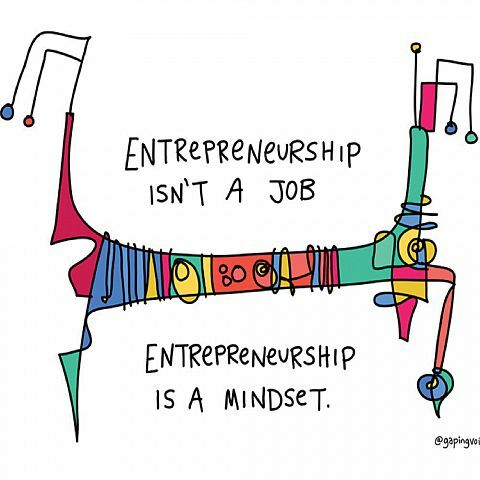 Entrepreneurship is, fundamentally, a creative pursuit. What does it really mean to be creative? Hollywood clichés tell us all about the tortured, blocked soul of the “creative” person. What they don’t tell us is that creativity exists in all of us. And that you don’t need to wait around, fretting, for it to strike you. Strike first! If you want to be creative, go create. All my best work comes in this manner. Not via luck, not via a lightning flash of inspiration (well, maybe once in a while) but from persistence. Luck does factor into life, of course, but it’s remarkable how much luck is created by hard work. Schedule time to create, and be creative on purpose. What suggestions to you have for harnessing creativity? Click here to respond directly to me. Please do consider sharing your thoughts with us, and feel free to share this email via the buttons below.